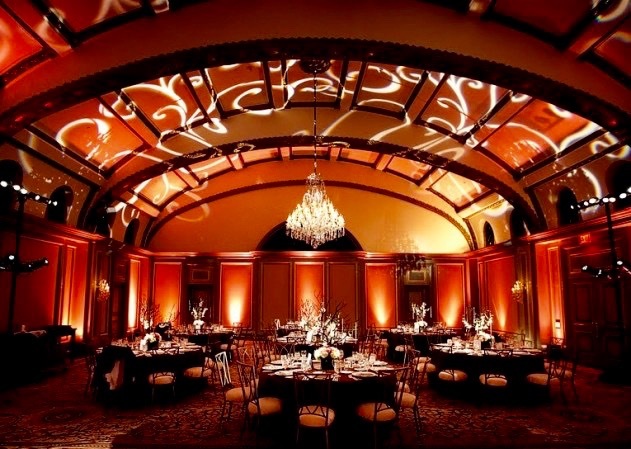 Up-Lights – Indoor are Light fixtures that project washes of light around the parameter of the space adding color, warmth and depth complementing the colors you are using for your decor. 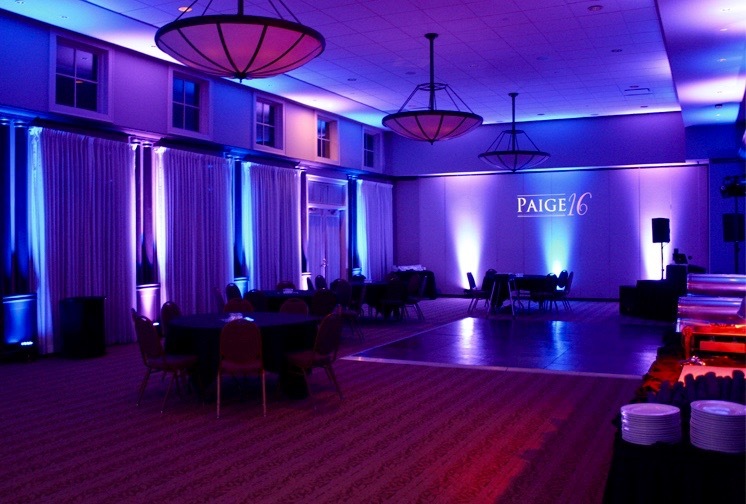 Up-Lighting looks fantastic in photos and is a great base layer for transforming the event space, the color scheme can be customized to your event theme and with a DMX Controller and Technician, the Up-Lighting can do so much more. 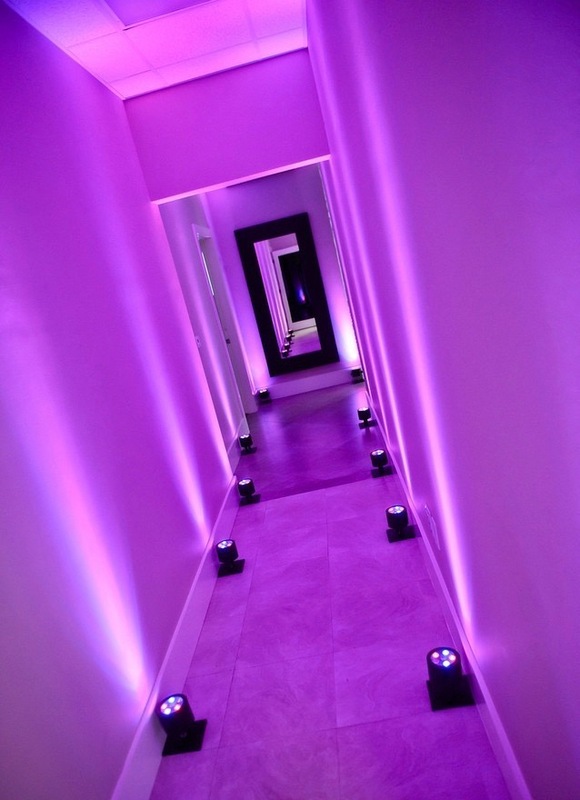 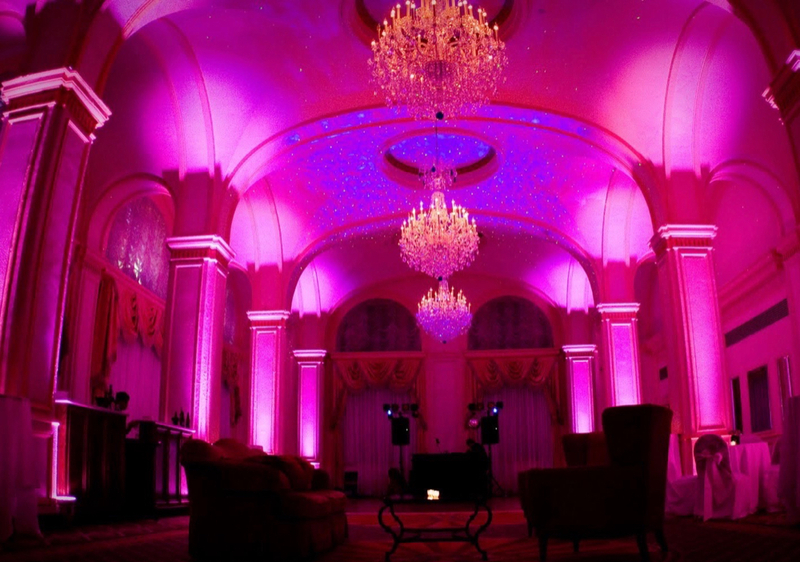 To create a formal to festive atmosphere, Up-Lighting provides a great visual atmosphere.